Abundant Health is Your Birthright! You are the descendant of people who were fit and adaptable enough to get their genes (and yours) through the last few million years of human evolution. In this popular cleaning program, you will learn how your amazing body works and how to live a long, fit and fun life. If you are suffering from chronic illness, and/or because you have decided to do everything you can to recover your health, then this course will change your life for the better – on many, many levels. If your body is trying to tell you something it is best to listen and act. Waiting is a good way to get seriously ill. If you look at the overall most common causes of disease, then you can see how easy it would be for most people to live a long and healthy life. It is not an accident that fit people are happier. It is also no surprise that people who treat their bodies like a garbage bin feel like crap! Today, there are many approaches to improving your health. There is good old common sense, ancient traditions from across the planet, there is your Grandmother’s famous folk remedies, there are futuristic devices that cost a ton of money and then there is modern science. 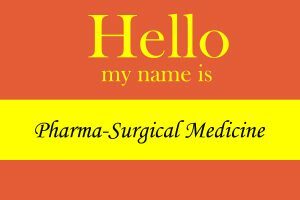 If you, like most of us, want the clarity and confidence of scientific medicine you primarily have two choices. 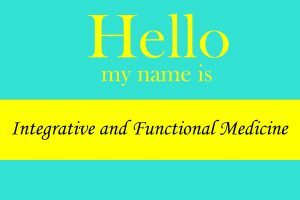 • Integrative and Functional medicine EMPOWER you to learn and put into practice the natural protocols that are saving lives every day! Welcome to the most over-medicated society, EVER! As we get older we each have a very important decision to make. Do you want to passively follow the trend towards an unbelievable over prescription of pharmaceutical medications or are you going to do what it takes in the modern world to stay healthy and fit? This is an easy question to say Yes too. Staying committed to that yes only asks that you treat your body, heart, and mind with friendship and respect. I began my career as an athlete. Fitness, healthy eating and training six hours a day was my life. For the reasons that catch up with us all, I eventually became very ill and found myself in the Intensive Care Unit of the hospital with little hope of surviving. I went from 165 lb fighting weight to 112 pounds and could hardly sit up without getting dizzy or passing out. I admit that I was very stubborn and idealistic about natural cures and was afraid of living the rest of my life depending on a colostomy bag, otherwise, I would have gotten help a lot sooner. Through a lot of learning and experimenting on myself, I became well again. 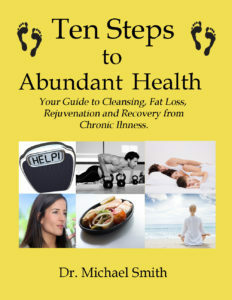 The 10 Steps to Abundant Health program follows the same process that I created to recover my health within a few months. Is it time to Take Back Your Health? Is it time to change some habits in your life? Are you tired of having your illness managed instead of getting the support you need to improve your health, mood and energy levels? Can you take a break from stimulants and intoxicants? Take this AMAZING opportunity to get to know how your body works, what usually goes wrong and what you can do about it. Assess each of your stress and reproductive hormones. Make sure your neurotransmitters are all firing together. Get your Digestive System in working order. Tame your immune system’s over-reactions and/or strengthen your immune system’s lack of focus. Cleanse your liver and elimination organs. Recharge all of your cells. Release any limiting beliefs that are holding you back. 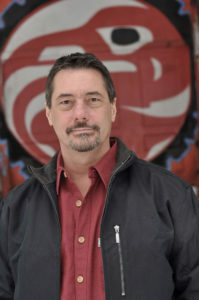 A one-on-one consultation with Michael to ensure you are putting out the right fires and to help inspire you to get into the best shape of your life! The course manual (Ten Steps to Abundant Health). This book contains all of the science, the common sense and the questionnaires that will guide you on your journey towards better health, more confidence and an appreciation of mindful living. 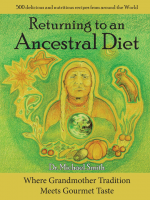 A copy of “Returning to an Ancestral Diet”, which contains 500 gourmet recipes from around the world. You will have access to the recordings for another three months after the program is complete. Register early as space is limited! Wednesday Evenings – 6:30 – 8:30, March 20 to May 29, 2019.